Find out where life science innovations are hatched. Apple and Microsoft started out in garages, but a biopharma startup cannot follow suit. Not when there’s equipment like centrifuges, water baths, and, increasingly, sequencers that have to be used, and have to go somewhere. Increasingly in recent years, that somewhere is a specialized space for startups. Typically they are called incubators; some are called accelerators, and a few have alphanumeric appellations like HTI and QB3. Then there’s another alphanumeric, “DIY,” as in do-it-yourself—these are community labs that have begun popping up over the past couple of years, designed for both the citizen scientist and the professional researcher, usually offering programs and classes—and most importantly, access to a lab—at lower costs than traditional incubators. Another twist on the traditional incubator has been the startup spaces opened in recent years by big biopharmas including Bayer’s CoLaborator, and Johnson & Johnson’s Janssen Labs. J&J itself works with early-stage companies through its Innovation Centers worldwide. Merck & Co. has taken another approach, contributing big bucks ($90 million, to be exact) toward the California Institute for Biomedical Research (Calibr). And in November, Celgene announced plans to house in part of its San Francisco space startups funded by Versant Ventures under a collaboration with Toronto’s Blueline Bioscience. Following is a list of 33 incubators serving biotechnology and pharmaceutical startups, unranked and listed in alphabetical order, and based on information furnished by the companies on their websites and other publicly available material, including their LinkedIn and Twitter pages and press announcements. Each incubator is listed with its address, phone number, website address, manager or other contact person where disclosed, a description of its space, its number of companies where disclosed, and access afforded companies to resources beyond lab equipment. Space: 18,000 square feet in Seattle’s South Lake Union life science cluster, owned and operated by Alexandria Real Estate Equities. Includes shared spaces, offices, shared core facilities, digital conference and meeting rooms, and creative lounge areas. Number of companies: Formed and invested in 12 companies over the past 10 years by raising more than $40 million in committed capital. Five of the companies have emerged from the Accelerator and raised follow on financings of more than $171 million. Three companies remain under management at Accelerator. In all, Accelerator companies have raised in excess of $220 million in initial and follow-on financings. Resources: Access to resources of operator Accelerator Corp., which include committed investment capital, facilities, scientific, and technical expertise and support, and start-up management. Number of companies: 13 current biotech tenants; 46 new companies. Space: 304,000 gross square feet. Resources: Access to CUMC’s Augustus C. Long Health Sciences Library and Columbia University facilities (may require fees), including: Cancer Center Advanced Optical Microscopy Center for Radiological Research Design and Instrument Shop, DNA Analysis and Sequencing Facility, Flow Cytometry Facility, Health Sciences Library, Protein Chemistry and DNA Sequencing Core Facility, Mass Spectrometry Facility, NMR Spectroscopy Facility. Two additional buildings are planned, one 280,000 square feet on a New York City-owned site adjacent to the Audubon Business and Technology Center, the other an academic research building of 237,000 square feet adjacent to the Russ Berrie Medical Science Pavilion. Space: 6,000 square feet of shared, rented assigned lab bench, furnished office space using open floor plan with cubicles, shared equipment, and common research areas. Designed for startup life-science companies whose technology platforms, drug targets or drug candidates may align with Bayer’s interests. Housed in the same building as Bayer’s U.S. Innovation Center, the company’s North American center of research. Number of companies: Two tenants listed online. Resources: Access to Bayer support, including Environmental Health & Safety and Biosafety licenses, and access to nearby UCSF core services such as imaging, bioinformatics, and proteomics. Partnering with Bayer can also provide access to the global expertise and equipment of Bayer’s research network. 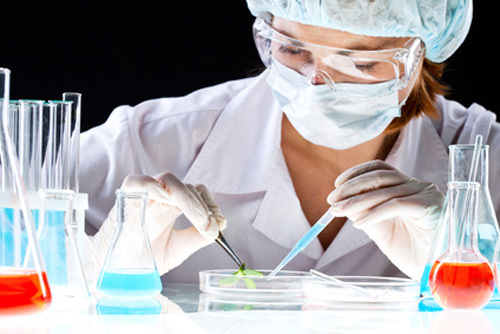 Access to BayBio and QB3 programs to assist with small biotech businesses. Space: 4,000 square feet of biotech lab space for both proto companies and individual scientists who want to get to their proof of concept quickly. Number of companies: No companies listed online. Resources: Access to events and classes, as well as 10 “biohackers-in-residence,” citizen or do-it-yourself (DIY) scientists studying research topics in bioscience. Space: More than 6,000 square feet of community biology lab space in a space leased from the City of Carlsbad, CA for $1/year; In return, Bio, Tech and Beyond committed to providing community science education opportunities, growing membership to 50 people in the first year and launching eight startups in the first two years. Resources: All intellectual property rights are retained by the researcher or inventor. Space: 2,600 square feet consisting of a complete working laboratory (BSL-1) and technical library. Resources: Access for entrepreneurs to cheaply accessed equipment, materials, and co-working space, as well as a training center for biotechniques emphasizing safety, and to a meeting place for citizen scientists, hobbyists, activists, and students. BioCurious was developed as a community biology lab for amateurs, inventors, entrepreneurs, and “anyone who wants to experiment”. Space: Square footage unavailable, but includes co-working space. Number of companies: Focuses on serving companies in a variety of health-related technologies that include biotechnology and biopharma by accelerating and facilitating technology transfer and commercialization of market-relevant research in federal labs, universities, and biohealth companies in central Maryland. Resources: Access to BHI’s preferred providers of various business services through the BHI Startup Package, as well as to commercialization support through its Entrepreneur-In-Residence program. Each company initially screened by BHI’s team of executives-in-residence, then receives support toward a milestone-based business development plan. Space: 5,000 square feet in facility established by MandalMed to provide shared wet and dry lab space, equipment, and management for virtual and early-stage life science companies. Potential operations include Molecular diagnostics, biotechnology tools, bioanalytical services, early-stage therapeutics, and stem cell companies. Number of companies: 12 current companies or “clients” listed online. Resources: Access to management services agreements, conference rooms, safety training; confidentiality agreements with all clients. Space: 12,500 square feet including individual biomedical laboratory facilities. Flexible, short-term space arrangements available from six months to two years. Resources: Access to biomedical research support services including conventional animal and transgenic facilities; medical campus library with thousands of online journals. Space: 50,000 square feet of labs. Calibr is a 501(c) 3 nonprofit institute to which Merck has committed $90 million over seven years. In return, Merck will hold options to obtain exclusive commercial licenses to any proteins or small molecule therapeutic candidates resulting from Calibr research. Number of companies: No companies listed since Calibr carries out research to preclinical proof of concept, at which stage commercial partnerships will be sought for further development. Calibr is focused on research areas that include autoimmune and inflammatory diseases, cardiovascular and metabolic diseases, cancer biology, regenerative medicine, neglected and orphan diseases, and neurobiology. Resources: Established collaborations with Merck, private foundations, and academic and other research institutions including Scripps and UC San Diego School of Medicine. Space: Square footage unavailable; laboratory and service company. Includes Biocloud™, which provides 20 individual lab bays designed for single scientists, with support infrastructure including central supply solutions, waste removal and required permitting. Number of companies: 15 resident companies or “clients” listed online. Resources: Access to financial and legal support provided via investment firm BioInnovation. Resources: Springboard program assists companies in proving their business model and developing a compelling commercialization strategy. Holds four six-month tracks per year. Access to assigned expert business advisors who coach the company throughout the process, as well as to feedback from financial, marketing, legal and commercialization experts, advice from industry executives, and the opportunity to dry run presentations and pitches. After completing Springboard, startups deemed suitable and ready for investment by angels, venture capital and/or corporate investors move on to the Springboard Capital Competition, where the startups pitch to a panel of C-level industry experts in a final judging panel. Capital competition winners become CONNECT Portfolio Companies, eligible to present in the region’s year round investor forums. Springboard is open for enrollment to biopharma and other life sciences companies in Southern California, as well as the region’s other technology companies. Space: 7,000 square feet of private and shared lab bench space for 30 scientists, plus 10,000 square feet of office, kitchen/dining, and conference room space. Includes biology lab, and three chemistry labs. Number of companies: Five current companies, two alumni companies listed online. Resources: Access to services of CreaGen Biosciences, which include traditional, structure-based drug design and high-throughput parallel synthesis and purification for lead generation and optimization, process research, and scale-up chemistry. Space: 600 square feet of lab space used as a community biology laboratory (BSL-1) and teaching site by nonprofit organization dedicated to promoting citizen science and access to biotechnology. Resources: Access to adult education and outreach events; most recent courses included “biotechnology crash course,” an intro to synthetic biology, and biohacker boot camp. Genspace was the first-ever community biotechnology laboratory. Space: 2,300 square feet of shared wet-lab space for competitively-selected entrants. Number of companies: 18 startups listed online. Does not seek equity in startups. Resources: Access to one-on-one guidance with leading mentors, investors, and practitioners, as well as Hb’s community of biotech entrepreneurs, events, and classes. Space: 33,000 square feet of wet and dry lab space and offices—including 12 wet labs plus future build-out plans for four wet/dry labs. Incubator is geared toward fast-growing companies and entrepreneurs in the early stages of research in the plant and life sciences and in the commercialization of new technologies. Sponsored by the St. Louis County Economic Council in conjunction with the Helix Fund. Number of companies: 13 member companies listed online. Resources: Access to scientific and business resources through major research centers at Washington University in St. Louis, Saint Louis University, and University of Missouri-St. Louis, plus other higher education institutions and entrepreneurship programs. Resources include greenhouses and specialized equipment at nearby facilities—microscopy, proteomics and mass spectrometry, tissue culture and plant transformation—as well as the intellectual capital of top scientists. Number of companies: No companies listed online; HTI is an initiative of EnterpriseWorks Chicago, a University of Illinois-based initiative to grow the Chicagoland region’s entrepreneurial community by nurturing commercialization and accelerating viable high technology startups. Resources: Access to infrastructure enabling technology development work to take place outside of academic labs, as well as support and access to professional services to assist in commercialization planning and venture formation guidance. HTI plans to offer access to talent, industry networks, and connections to capital sources. Space: Amount unavailable, but will be fully operational lab space near the company’s planned 97,000-square-foot R&D facilities at the Mission Bay campus. Number of companies: Program will select up to three companies to participate in each six-month session per year. Applications are due May 16, 2014 for the inaugural session that begins August 1. According to Illumina, the program is the world’s first business accelerator focused solely on creating an innovation ecosystem for the genomics industry, with a goal of speeding the time to market and lower the barriers to entry for entrepreneurs, start-ups and early stage companies working on scientifically and commercially promising next-generation sequencing (NGS) applications. Resources: Illumina will provide invited participants with $100,000 in instrument access to MiSeq® System and NextSeq 500™ System; sequencing reagents; validation of concept, technology, market, or application; pitch preparation and access to its global customer network and established venture network; partner support, including financial modeling, forecasting, legal, recruiting, licensing, go to market strategy, and technical expertise; bi-weekly workshop on industry trends, business models and building companies led by experienced entrepreneurs; and potential nonexclusive rights to Illumina Intellectual Property for applicants’ specific applications. Illumina receives 10% common stock in the startup. Additional partners include technology investor Yuri Milner, who will offer each participating company $100,000 in exchange for convertible notes, and Silicon Valley Bank, which intends to provide banking services and an equity line of $20,000 or more to each participating company. Address: Three sites in the U.S.
Resources: Each site offers core research labs common facilities, common business areas, singular bench tops, modular wet lab units, and office space on a short-term basis; an operations team focused on day-to-day activities; a business services team to accelerate the development of resident companies; a commercialization curriculum; and introductions to funding partners, including venture, angels, granting agencies, and other corporations. Janssen Labs hosts companies from across all sectors including therapeutic, device, diagnostic, digital health and consumer. Space: 40,000 square feet of lab space. Number of companies: 36 companies are currently onsite with 42 companies since inception. Space: 12,000 square feet portion of QB3@953, one of five incubator sites of the California Institute for Quantitative Biosciences (QB3). Resources: Access to QB3’s resources, which include legal and business advisors, assistance in grant writing for federal Small Business Innovation Research funds, and access to high-end equipment and technology in University of California, San Francisco facilities. Space: Established in a portion of the 28,000-square-foot LabCentral incubator through a collaboration between LabCentral and Johnson & Johnson Innovation. The first East Coast expansion for Janssen Labs, and will operate with the same open-innovation, no-strings attached approach as the West Coast sites. Resources: Access to Johnson & Johnson Innovation, which will also have an on-site office to facilitate collaboration with other startups located at LabCentral. The office is one of three J&J innovation centers worldwide to open last year; the others were in London and Menlo Park, CA (with a satellite office in La Jolla, CA). A fourth will open later this year in Shanghai. Space: 28,000 square feet shared laboratory space designed as a launchpad for high-potential life-sciences and biotech startups. Offers ready-to-go, permitted lab and office comprising 30 individual bench spots and 22 lab desks in shared lab, plus eight private lab suites (300 to 650 square feet) for companies of up to eight employees, and 18 private offices. Number of companies: 12 residents companies listed online. Participating entrepreneurs and startups are chosen through a competitive process, where applicants deemed to have the highest potential are selected. Resources: Access to on-site CRO support, mandatory EHS training and compliance for all lab users, in addition to common lab equipment, conference rooms, event space, and kitchens. Space: 62,000 square feet consisting of wet labs and office suites, both of 500 or 1,000 square feet, within the university’s campus. LIHTI is a 501(C)3 corporation, consisting of two member corporations: The Research Foundation of the State University of New York and the Stony Brook Foundation. Number of companies: 22 listed online, plus another eight external members listed online as participating in Incubator Without Walls program. LIHTI has housed more than 70 businesses; 44 graduate businesses. Resources: Affiliated with Stony Brook University and its Medical Center. Access to Stony Brook University resources that include specialized research facilities, interns, and students, SBU’s graduate, medical, dental, business, nursing, and allied health professions schools, and electronic access to university libraries. Resources: Access to a Professional Services Group designed to identify and integrate information processing technologies toward applied research today. MBI seeks a 1% equity agreement from each “seed” tenant company if it goes public or is sold, with the money going toward an endowment fund to be used solely for the future development of expanded laboratory space and shared equipment for the continued growth and success of future life science start-ups within our incubator facilities. MBI is a private, independent economic development organization that operates three incubators in Worcester, MA, for startups in biotechnology, informatics, and biomanufacturing, as well as medical devices; MBI and its former venture capital entity Commonwealth BioVentures (CBI) have invested to date over $8 million of public funding and over $50 million of private money in new technology driven companies, have developed three major Incubator Centers and have helped to create over 50 companies. Space: 31,000 square feet of lab space with a lab for cellular and molecular biology staffed by a biochemist and cellular and molecular biologists; and labs for medicinal chemistry, and analytical chemistry. MMRI is an independent, nonprofit medical research institute that maintains a full complement of scientists conducting research into understanding disease pathways, while supporting creation of new biotechnology companies and human therapeutics. Number of companies: 15 current companies or “entrepreneurial affiliates,” and 66 former entrepreneurial affiliates listed online. Resources: Access to MMRI’s in-house scientific expertise and collaboration network, supporting affiliations with pharmaceutical companies seeking to partner for early-stage research at reduced cost and risk. Space: 9,400 square feet of lab, office and conference room space (soon to expand) for early-stage biotech and cleantech startups. Includes four shared laboratories of approximately 1100 sq. ft. each with access to shared equipment, 4,400 sq. ft. of office space with furnished offices and cubicles, a shared conference room for up to 12 people, and a small conference area for up to five people. Resources: Access to a mentor and a Client Oversight Team, based on a VC portfolio management model; the mentor will collaborate with the company’s management to define milestones, while the team will assess progress toward those milestones and assist the company in overcoming any barriers to progress; access to pro bono legal, accounting, marketing and other business services valued as much as $10, 000; Ongoing education program with a curriculum focused on key issues for the newly minted entrepreneur. Space: About 9,000 square feet of wet lab space subdivided into nine laboratories for individual companies, available for lease. Number of companies: First tenant set to move next month into 603 square feet after county Board of County Supervisors committed $9,200 from the Prince William County Economic Development Opportunity Fund. Resources: Proximity to George Mason University’s Prince William Campus advanced research and teaching programs and its NIH Level-3 Biosafety Research Laboratory; as well as life-sci companies that include American Type Culture Collection (ATCC); Corning Life Sciences. Contact people: Regis Kelly, director, QB3, and general partner, QB3 Incubator Partners; Douglas Crawford, associate director, QB3, and general partner, QB3 Incubator Partners. General inquiries are directed to Kaspar Mossman, Ph.D., QB3 Communications Director. Space: More than 21,000 square feet of laboratory (chemistry/biology/cell culture) and office space. Number of companies: 22 life science and clean tech companies listed online. Resources: Access via contract to scientific core facilities at UCSF, Gladstone Institute, or UC Berkeley. Companies are also encouraged to attend regular seminars and networking/social events held in the building and elsewhere on campus. Space: 23,700-square-foot facility offering class A wet and dry lab space, shared or private office space. Number of companies: Janssen Labs @QB3 occupies 20% of the building; 42 tenant companies listed online, including two companies within the Canadian Technology Accelerator’s CTA@Mission Bay. Resources: Access to UCSF core facilities in addition to on-site research equipment, and in-house stockroom and purchasing. Space: 9,300 square feet, more than half of which is devoted to wet laboratories, specifically designed to meet the needs of start-up companies in the life, physical and green tech sectors. Space includes private offices, and conference rooms. Number of companies: 13 tenant companies listed online. Resources: Access to the QB3 network of shared research facilities located in 26 separate laboratories at UCSF, UC Berkeley, Lawrence Berkeley National Laboratory, and UC Santa Cruz. Space: 4,500 square feet of offices, wet laboratory space, and multi-function rooms. Tenants rent at least one office or multi-function room and can then rent a portion of the wet laboratory space. An equipment corridor is also available. Number of companies: Five tenant companies listed online. Resources: Access, via individual arrangement, to UCSF Nikon Imaging Center, Center for Advanced Technology, Membrane Protein Expression Center, Small Molecule Discovery Center, High Field NMR Biomarker Discovery Facilities, Cell Culture Facility, UCSF Mission Bay FAMRI Library, Micro-Tomography Core Facility, Micro and Nanofabrication Core, Resource for Biocomputing, Visualization, and Informatics. Space: About 800 square feet of wet laboratory space, set up with eight stations for incubator use. Tenants also share use of a prep bench with standard lab facilities, along with space for floor-standing equipment. Resources: Access, via individual arrangement, to QB3 core facilities that include Biomolecular Nanotechnology Center, Central California 900 MHz NMR Spectrometer Facility, Functional Genomics Laboratory, QB3/College of Chemistry Mass Spectrometry Facility, QB3 MacroLab, Vincent J. Coates Genomics Sequencing Laboratory, and Vincent J. Coates Proteomics/Mass Spectrometry Laboratory. Space: 40,000 square-foot facility offering wet labs of approximately 200 to 1,000 square feet, within a converted former Wyeth laboratory building. Resources: Access to HTR programs and services, including Opportunity Assessment Program, Structured Business Development Program, Capital Readiness Program, Technology Commercialization Acceleration Program, and InfoBytes Luncheon series. Open to qualified early-stage life science, biotech, chemical, pharmaceutical, medical, dental, or health services companies that need wet lab facilities, regardless of their relationship to the University of Rochester Medical Center, which carried out the conversion. Space: 34,000 square feet of labs and offices. Lab spaces include individual suites, shared labs, and individually furnished office suites. Offers prorated access to core laboratory. Number of companies: 17 member companies, eight former or “alumni” companies listed online. Resources: Access to business support services ranging from business center to on-site partner network that assists member companies with accounting, legal, HR, and finance functions. Number of companies: Accelerator space will be awarded to up to six Sanford-Burnham or UC San Diego spinout companies. Ideas must first be approved by CONNECT Springboard's Innovation Assessment Panel. Resources: Access to Sanford-Burnham’s 30+ core facilities and specialized equipment; access to management, education, and commercialization support options through Sanford-Burnham, as well as UC San Diego’s Rady School of Management and Connect’s Springboard program, including its entrepreneurs-in-residence and domain experts to assist them with planning for efficient business formation and development. Number of companies: The incubator has had 28 companies graduate out of the facility or be acquired by other companies. Resources: Access to University of Florida advanced instrumentation, scientific expertise, and services at reduced rates through UF’s campus-based Interdisciplinary Center for Biotechnology Research (ICBR), Nanoscale Research Facility (NRF), and Major Analytical Instrumentation Center (MAIC). Members include resident companies and external member companies consisting of graduate members; “associate” members (off-site, advanced companies seeking program resources or wanting to establish relationships with resident companies); and “affiliate” members (off-site young companies that are too early-stage to qualify for residency but can benefit from program resources). Resources: Access to SUNY Downstate Medical Center resources including specialized research facilities and equipment such as Clinical and Anatomic Laboratories, Confocal Microscopy and Imaging Laboratory, Electron Microscopy Laboratory, Kodak Imaging Facility, GeneChip Microarray Laboratory, and Video Imaging Facility. Resources: Access to SUNY Downstate Medical Center resources & NYC research institutions, State and city financial incentive programs, Built to LEED Silver standards, and emergency power. Space: 13,000 sq. ft.: 6,400 sq. ft. lab space, 6,600 sq. ft. used for office space configured into 12 private offices. Space: 3,008 SF lab/office suite with operational and service amenities, including shared support equipment, conference facilities, building support staff, and additional specialty services. Resources: Access to the clinical and research faculty, as well as other academic and recreational amenities and services of the campus. Number of companies: 16 “life science and healthcare” companies and four recently launched biopharmas listed online. Resources: Access to entrepreneurs-in-residence, student interns, startup teams from different universities, and a presentation room that can serve as conference space or auditorium. 1 Marketed via Colliers International, which lists three brokers as contacts for prospective tenants: Joseph Flaherty, (617) 330-8080; Tucker Hansen, (617) 330-8106; and Ben Coffin, (617) 330-8153.